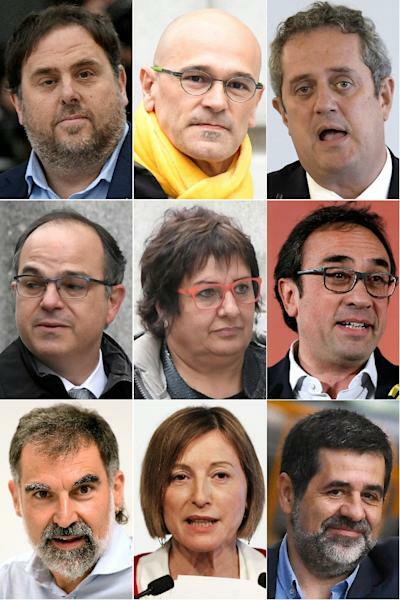 Madrid (AFP) - The trial on Tuesday of 12 Catalan leaders over their role in Catalonia's failed independence bid will be fought between Madrid and the separatists in the international media as much as in the courtroom. "We have to use this trial as a tool of denunciation, use it in our goal to make Catalonia independent," the head of influential grassroots separatist group ANC, Elisenda Paluzie, said before the start of the trial at Spain's Supreme Court on February 12. The separatists who govern the wealthy northeastern region have for years tried to convince the world of the legitimacy of their cause and make the case that Spain lacks political freedoms. But with over 600 journalists from 150 media outlets from around the world accredited to cover the trial, Spain's central government does not want to remain on the sidelines. The foreign ministry has set up an office charged with promoting Spain's image abroad, called Global Spain. It announced before the start of the trial that it would launch its own campaign to counteract the "baseless attacks by the independence movement". 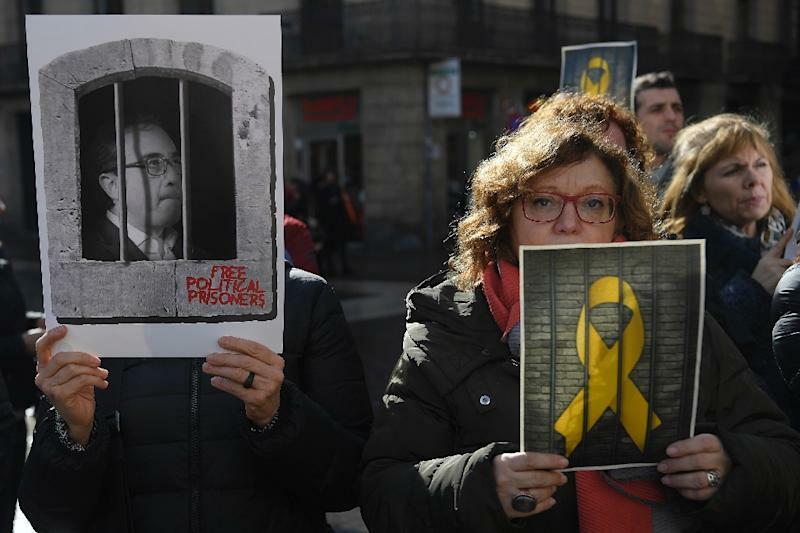 "Our work is going to focus on dismantling with solid arguments and proven facts the fake news about this trial," a spokesman for Global Spain told AFP. The department recently released on social media a video called "This is the Real Spain", which is subtitled in English, that highlights Spain's freedoms and its high ranking in an annual report published by human rights watchdog Freedom House. The video features the president of Spanish banking giant Santander, Ana Botin, Catalan film director Isabel Coixet and the secretary general of the OECD, Mexico's Jose Angel Gurria, who lists Spain among the world's "most open and developed countries". The arrival in power in June of Socialist Prime Minister Pedro Sanchez marked a change in Madrid's strategy. The previous conservative government of Mariano Rajoy was largely passive in the face of the separatists' international campaign. But Sanchez's Foreign Minister Josep Borrell -- a Catalan who fiercely opposes independence -- and his team spare no efforts to refute their arguments. "We are starting a completely different chapter," the Global Spain spokesman said, adding the posture of the Rajoy government had "a very high cost in terms of misinformation". Officials from Spain's justice ministry and the Supreme Court also met with foreign correspondents based in Madrid before the trial. And on Thursday Sanchez defended Spain's judiciary during a visit to the Council of Europe and the European Court of Human Rights in Strasbourg in France. 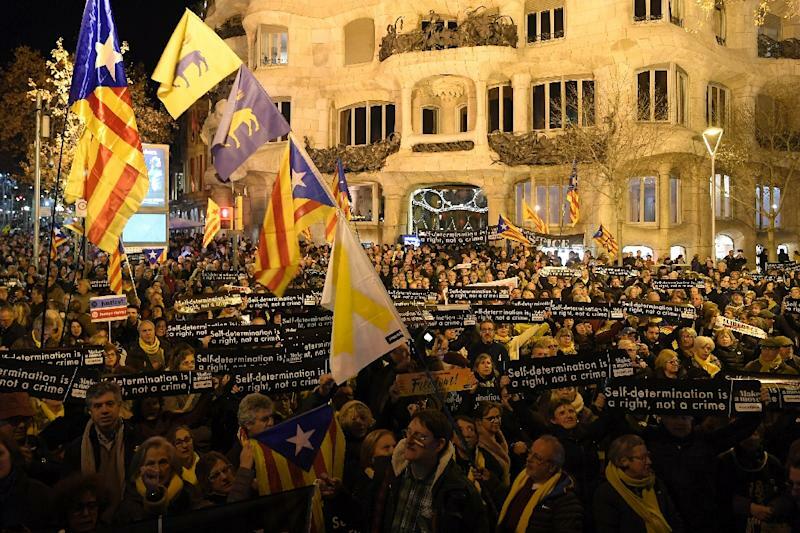 Many separatists are convinced that their leaders were jailed for political reasons and will not have a fair trial. And they see the central government's public relations push as proof of this. "If the Spanish government is forced to carry out a campaign of marketing and misinformation, that means they feel insecure," Alfred Bosch, in charge of foreign affairs in Catalonia's regional government, said during a recent visit to London. The Catalan government will respond to Madrid's campaign by explaining "the truth....about a trial which is a political trial" and ease the work for foreign journalists and observers so they "reach their own conclusions", he added. Catalonia's public television will offer coverage of the trial in English to give it an "international dimension". Grassroots separatist organisations ANC and Omnium Cultural are preparing their own information campaigns targeting an international audience which include videos made in several languages and meetings in cities across Europe. The lawyers of several of the defendants, who face long prison sentences if convicted, have demanded the presence of international observers at the trial. But the request was turned down by the Supreme Court, which argued this would not be needed since the trial will be open to the public and it will be broadcast live on television and online. Despite this, six Catalan associations have set up a platform called "International Trial Watch" that will try to bring foreign observers to the court even if they are there as ordinary members of the public.